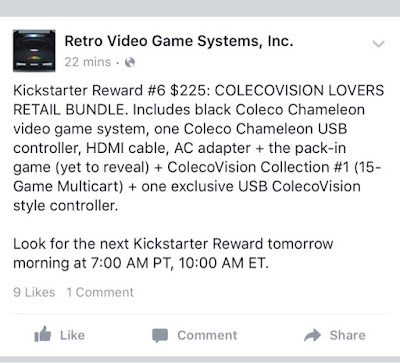 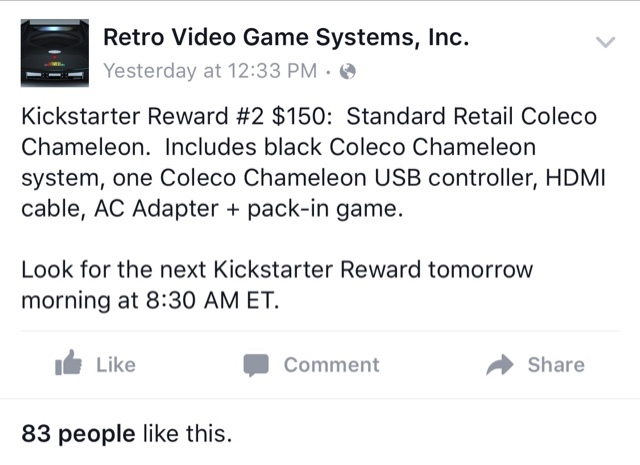 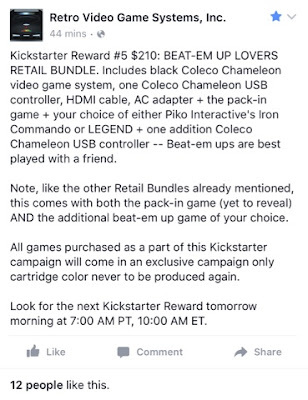 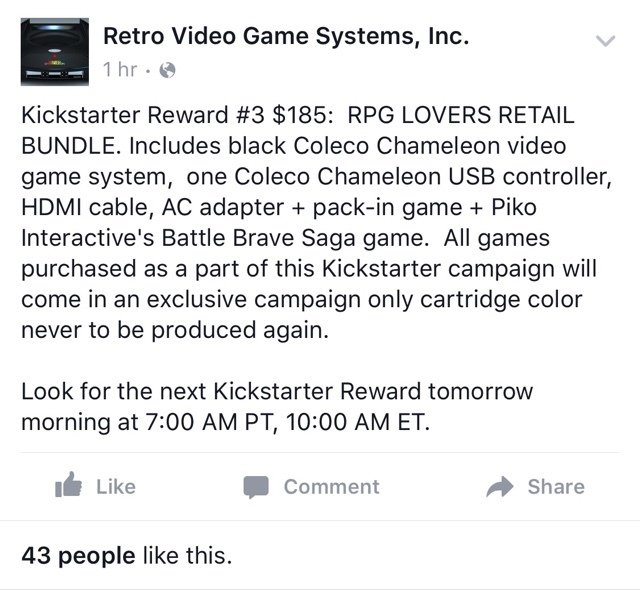 For those of you who have been missing the soap opera surrounding the Coleco Chameleon's development, now is as good a time as any to jump into the story. 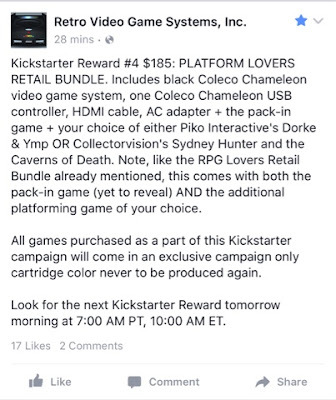 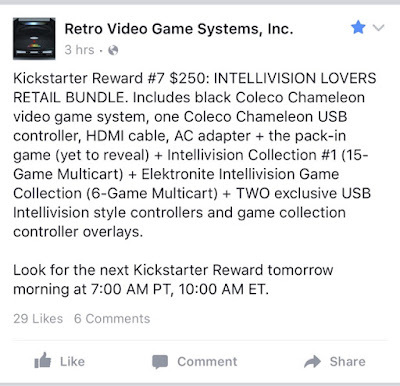 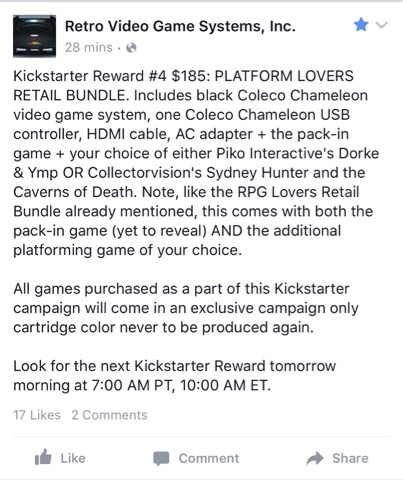 Mike Kennedy, the face and voice of Retro Video Game Systems, has announced the Kickstarter rewards for the KS campaign set to start February 26. 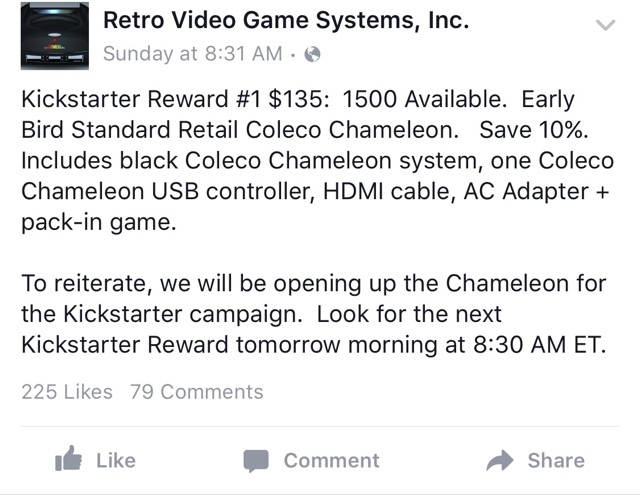 The reward system includes three tiers, all of which offer a different package in exchange for your investment. Details have been pulled directly from RVGS' Facebook page. 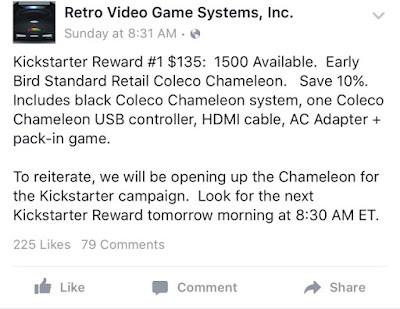 Keep in mind that details will probably change over the next couple of weeks. 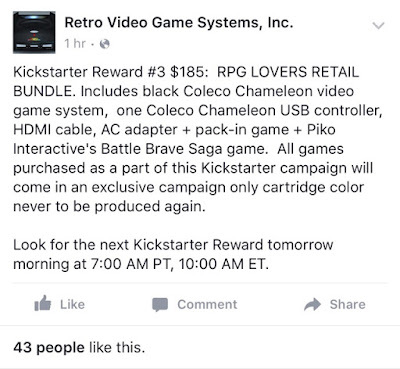 There has not been a concrete list of launch titles issued.